All roofing, bathrooms, wet areas and many walls, need to be waterproofed to stop moisture from seeping into the interior of a building. Information on the location of the building, as well as its construction and primary use, will help us determine what type of membrane covering will be required. Sheet Membranes are supplied in manageable sizes and are overlapped and bonded by gluing or heat welding them together. Sheet membranes are excellent for high traffic areas and have good long term qualities. Liquid Membranes form a fully bonded and continuously seam free layer with no joins. 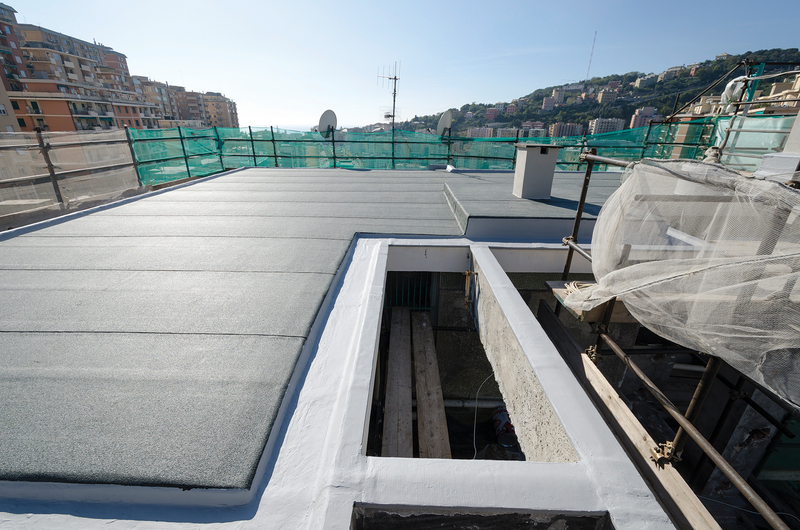 These membranes are easily applied, flexible and can be UV resistant. Maintenance and repair for this type of membrane is relatively easy. It also has the ability to breath and is cost effective. The selection of the correct type of membrane is vital and there is no one membrane that fits all requirements. Particular knowledge is required and ARA Building will assess the usage, exposure, the substrate and it’s stability before recommending a specific product. Whichever membrane is used, the membrane coating is only as good as the substrate to which it is applied and the person applying it. The experienced team at ARA Building are specialised in preparing and applying all types of membrane applications. We purchase the most suitable products from long established and proven manufacturers and always apply their products strictly to the manufacturers specifications. Designing and constructing quality, functional spaces with attention to detail. Providing critical repairs, refurbishment and restoration for the longevity of your building. Offering comprehensive maintenance solutions to buildings across Australia. Responding to emergencies and carrying out repairs when you need them the most.